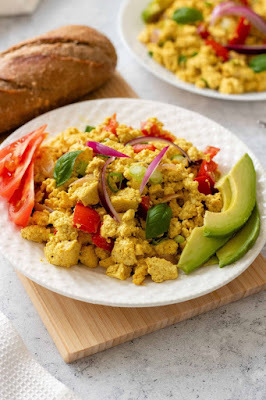 This Vegan Scrambled Eggs recipe is THE ONE you have been looking for. High-protein, plant-based, clean eating and SUPER delicious. Goodbye eggs, hello tofu! Scramble the block of tofu with your hands (see picture above) into small and bigger pieces. Heat 1 tablespoon of oil on medium heat in a pan. Caramelize the chopped red onions. Add the scrambled tofu and stir for 1 minute. Add the 1/2 cup of oat milk and stir until the tofu has soaked up most of it. When there is only a small amount of milk remaining, add all of the remaining ingredients and stir for another 3-4 minutes on low to medium heat. * Black salt can give your scrambled tofu a nice "eggy" flavor, but it's quite stinky. You might want to leave it out. 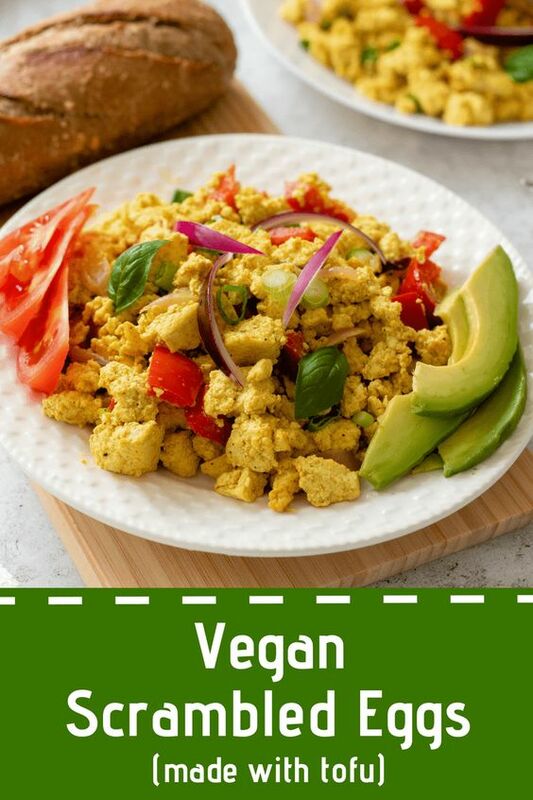 0 Response to "The Best Vegan Scrambled Eggs Recipe (with Tofu)"